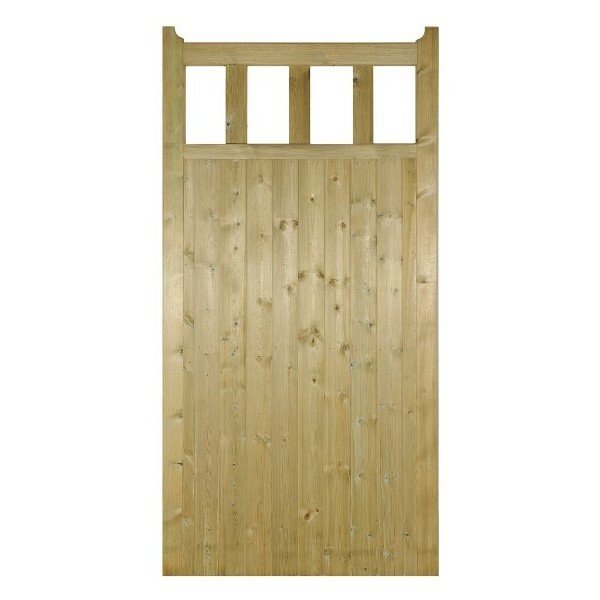 Quorn Wooden Side Gates are available to buy online in a choice of sizes, have a strong and robust pressure treated timber construction and represent excellent value for money. 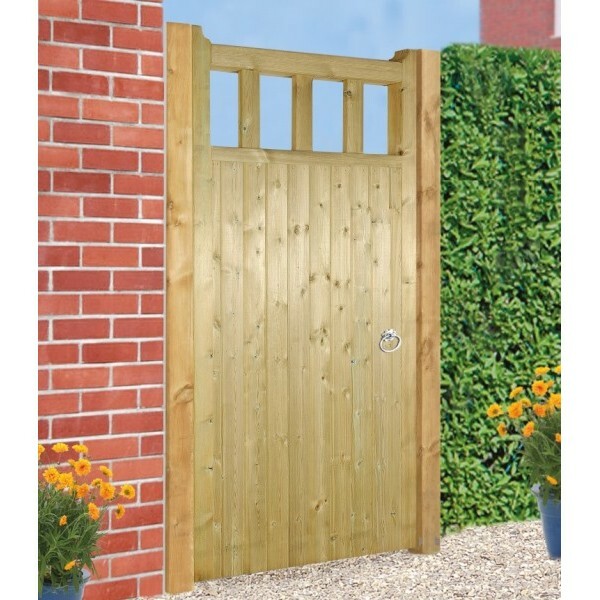 The Quorn Wooden Side Gate stands at 1.8m tall and as a result is perfect for adding security to vulnerable side entrances and passageways around your home and garden. Handmade in the UK using traditional joinery techniques the gate features a solid and secure 70mm thick framework to ensure strength and stability whilst the open pale section at the top allow wind to pass through whilst acting as a handy viewing window allowing you to see who may be on the other side. Available to buy online in a selection of sizes this gate is new to our range however we are confident it will become one of out best selling design due to its looks and affordability. Attractive design has a timeless appeal. Suitable for many applications where security is required. Constructed from pressure treated Scandinavian Redwood for superior levels of protection against the elements. Strong and rigid mortise and tenon jointed constructions. 70mm x 70mm outer framework and 95mm x 14mm tongue and groove boards set in a vertical configuration. Open pale sections add charm and character. Can be installed left or right hand hanging. Posts and gate furniture are sold separately. 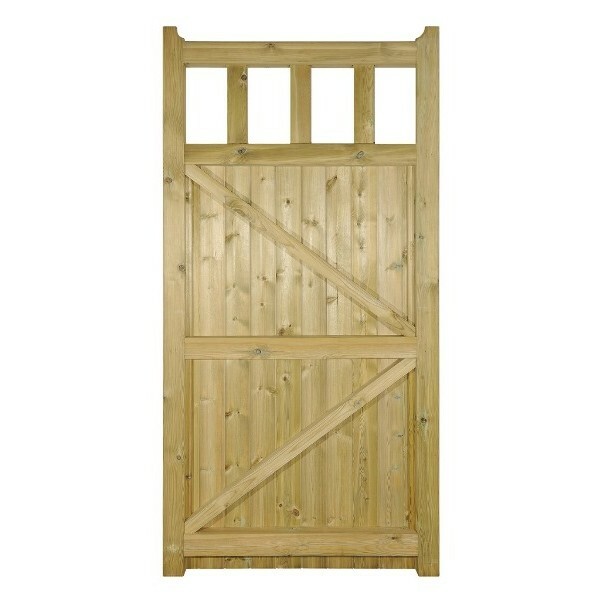 Need Help Ordering a Wooden Side Gate for your Garden? If you are confused about ordering or need technical advice please contact us by phone or email and we will be on hand to provide support. Alternatively take a look online at our help and advice pages by referring to the measuring guide, FAQ`s, ordering guide and installation advice pages. 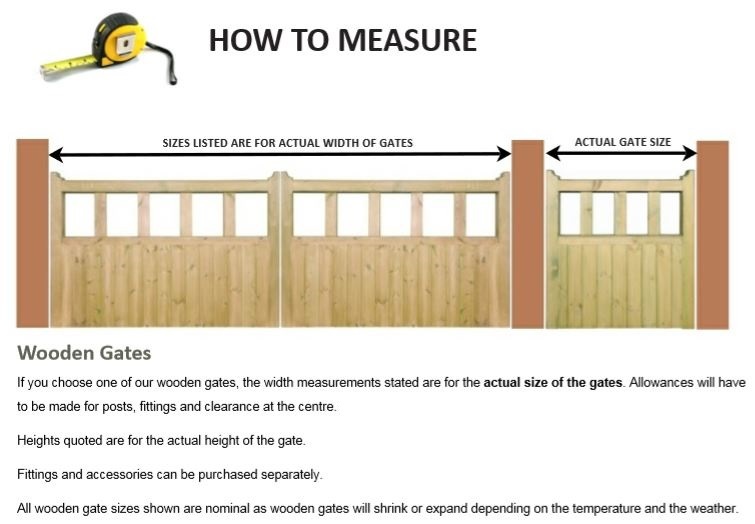 You may also find information on how to fit the gates by clicking the links detailed below. Are posts, fitting and accessories required to carry out your driveway gate installation? If required we recommend the following items. For more information about the products shown above or if you need help with any other aspect of your purchase please feel free to get in touch and a member of staff will be available to answer your questions.